Take Action Now and Message your Florida Legislators! 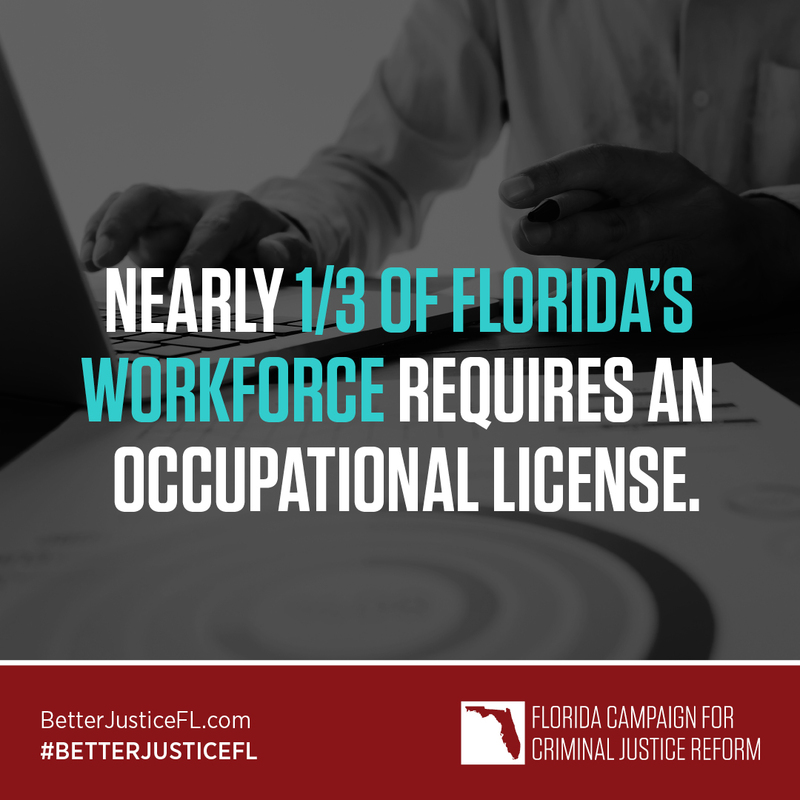 The Florida Campaign for Criminal Justice Reform (FL CCJR) is a diverse, nonpartisan coalition of organizations committed to reducing our prison population, eliminating racial disparities and bringing better justice to Florida. On March 13, the FL CCJR brought hundreds of advocates, activists, and directly-impacted families together in order to speak to legislators at the capitol in Tallahassee. SB 734, which would not suspend driver's licenses for adults who are charged with offenses such as failure to pay court fees, drug-related offenses, or misdemeanor theft; or for minors charged with vandalism, truancy, or tobacco-related offenses. SB 394 & HB 667 and amend SB 334 & HB 397 which will remove employment barriers for people with past convictions. To learn more about the exact language of these bills, the facts around them and why we believe in them, please read the Coalition Resources on our Resources page. We believe that the Florida First Step Act should be amended with racial impact assessments as well as additional funding for mental health and substance abuse treatment funding. Reforms that overlook the outsized impact of the criminal justice system on communities of color are not ones that our legislature should support. 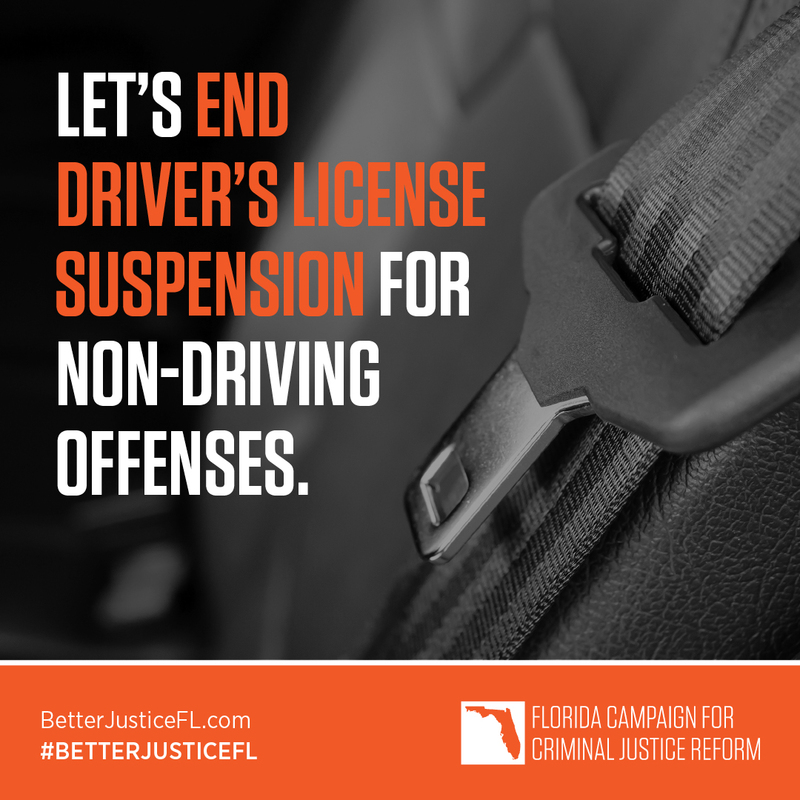 Floridians deserve better justice. Read more in our op-ed in the Tampa Bay Times. Now through the end of the legislative session, we need your voice. Please use our Social Media Toolkit,which has images and messaging that you can easily share with your networks. Join the call for #BetterJusticeFL by asking our lawmakers to take action to cut mass incarceration in Florida jails and prisons in half, eliminate racial disparities in our justice system, and support reform bills that will bring our state in line with other states that have common-sense justice reform. Follow us on Facebook and Twitter to share and amplify. The time for better justice is now. The Florida Campaign for Criminal Justice Reform (CCJR) is a diverse, nonpartisan coalition of organizations working to combat the over-criminalization and over-incarceration of Floridians by changing laws and public opinion. Members of this campaign include: Southern Poverty Law Center, American Civil Liberties Union of Florida, Florida League of Women Voters, Associated Industries of Florida, R Street Institute, Florida Association of Criminal Defense Lawyers, Florida Public Defender Association, Florida Legal Services, Florida Immigrant Coalition, Florida Justice Institute, New Florida Majority Florida, Council of Churches, Farmworker Self-Help. Inc., LatinoJustice PRLDEF, Southern Legal Counsel, SEIU Florida, Alliance for Safety and Justice.